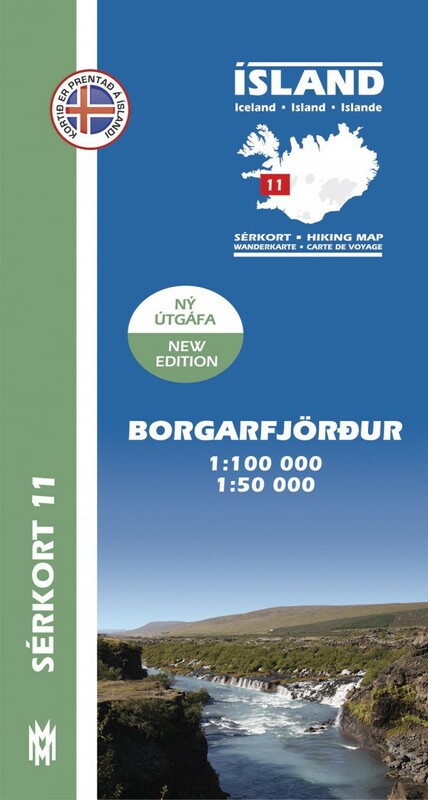 A quality hiking map (1: 100 000) that reaches from Eldborgarhraun in the west to Langjokull in the east. 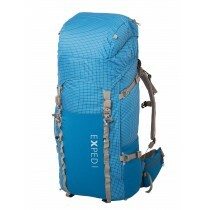 The map includes all hiking- and driving routes of the area, along with place names and other useful information. 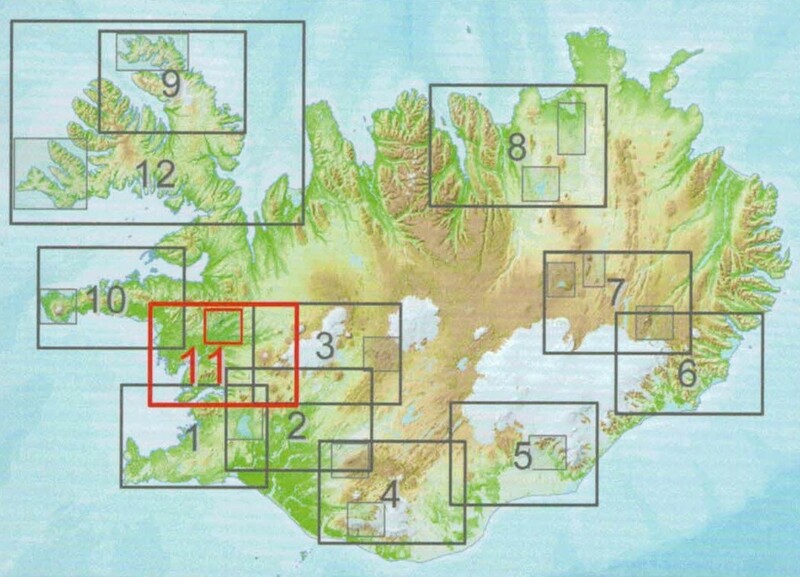 On the reverse side you will find a map of Grabrokarhraun (1: 50 000) with descriptions and photographs of the area‘s main attractions. 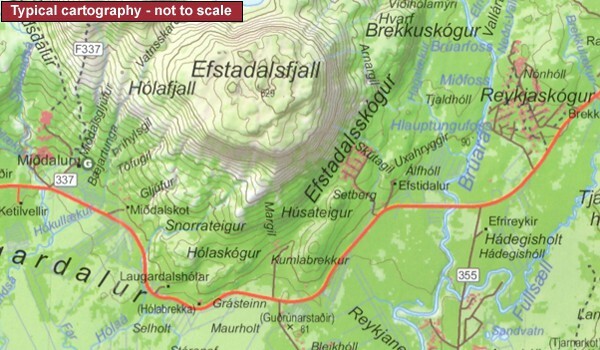 The map features drawings by Jón Baldur Hlíðberg.